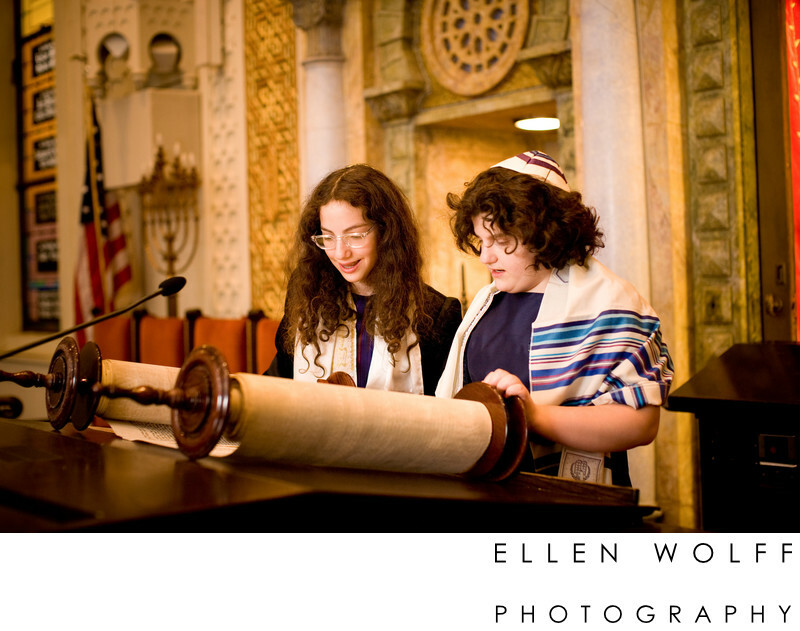 B'not Mitzvah twin sisters at the bima with the torah. When twin sisters celebrate their bat mitzvah, that is known as B'not Mitzvah. For our Temple portrait session we included both sisters at the bima. Location: 50 East 87 Street, New York NY 10128.